Are you looking for professional commercial cleaning in South West London to keep your working environment? So, look for the help of commercial cleaners and see an rise in production at work. Our cleaning company supplies professional commercial cleaners South West London on either a daily, weekly, fortnightly or monthly basis depending on your needs and requirements. All cleaning staff are well trained in all aspects of contract cleaning. Our staff is required to provide proof of address, proof of identity and proof of their emigration status. If they cannot provide bonafide references, we do not offer them work – no exceptions. We offer very competitive and affordable cleaning prices – click here. Our teams will carry out all office cleaning tasks with ease and give you a clean and healthy environment to work in. 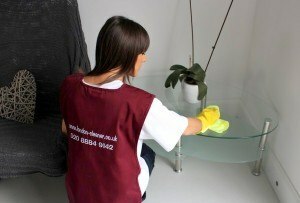 London Cleaner offers other cleaning services: carpet cleaning, upholstery cleaning, end of tenancy cleaning, window cleaning and more. For more information about commercial cleaning South West London and no obligation quotation go to our online booking page or please call us on 020 8884 9142.